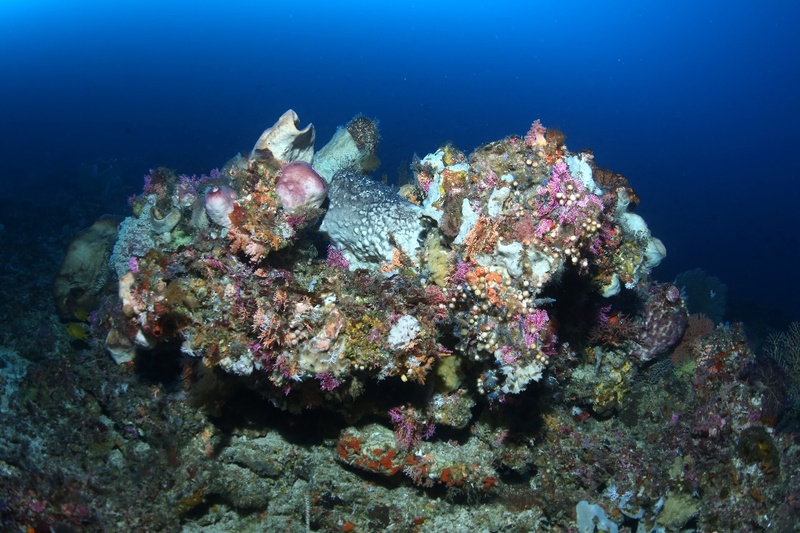 Due to their inaccessibility, mesophotic reefs have been the subject of limited scientific study. 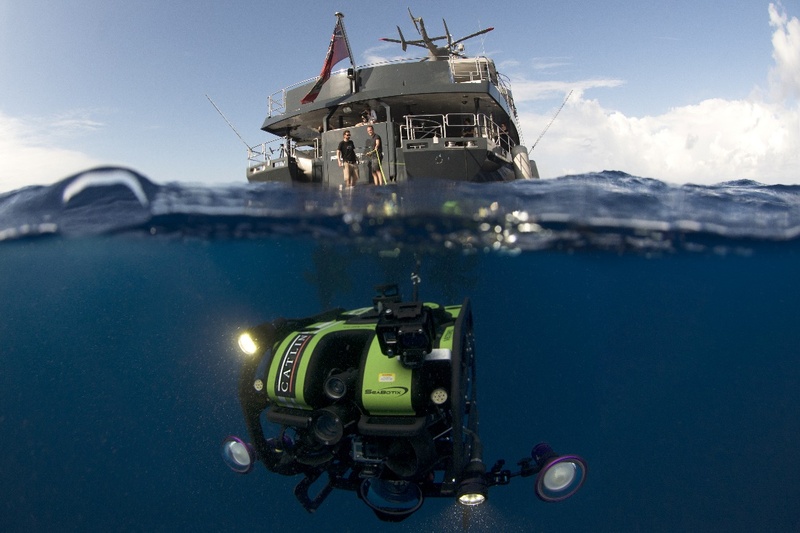 Today, modern technologies such as rebreathers, submersibles and ROV’s allow scientists to explore even the deepest reefs. 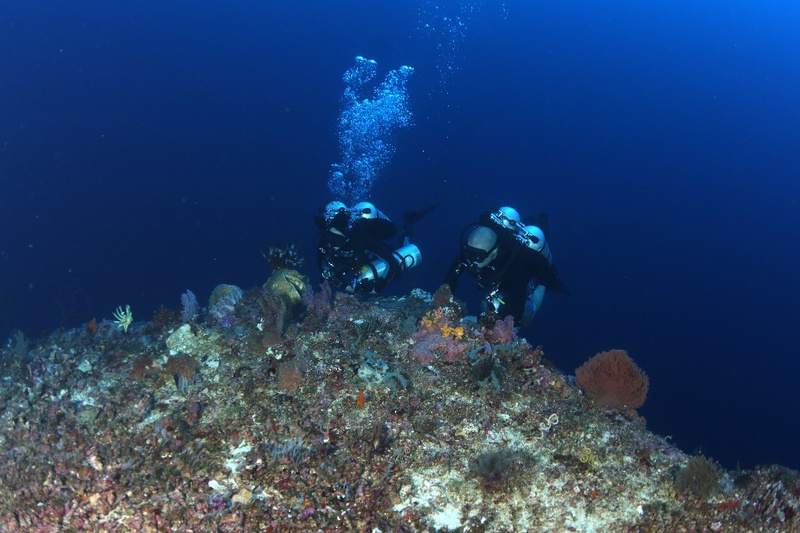 Over the following years, marine biologists will uncover more about the ecology and biodiversity of mesophotic reefs, as well as the genetics and physiology of its key members, the stony corals. 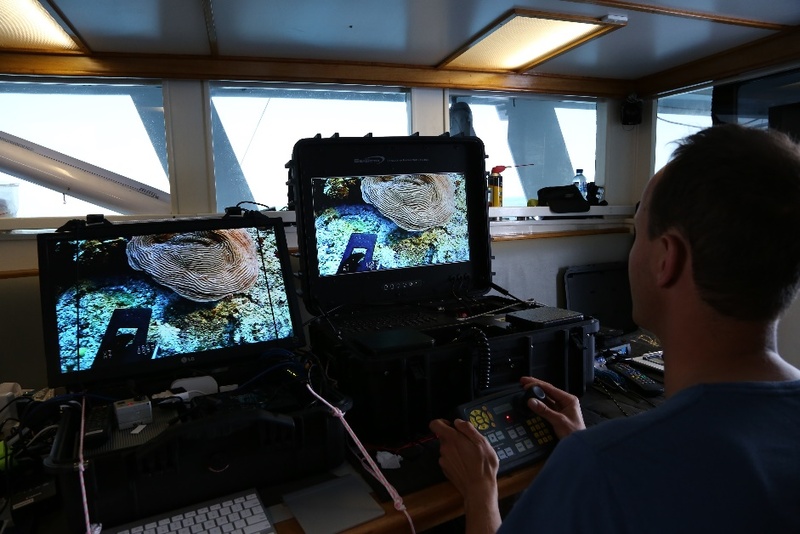 Here, Dr. Pim Bongaerts of the XL Catlin Seaview Survey team operates an ROV on the Great Barrier Reef. Image by Richard Vevers. 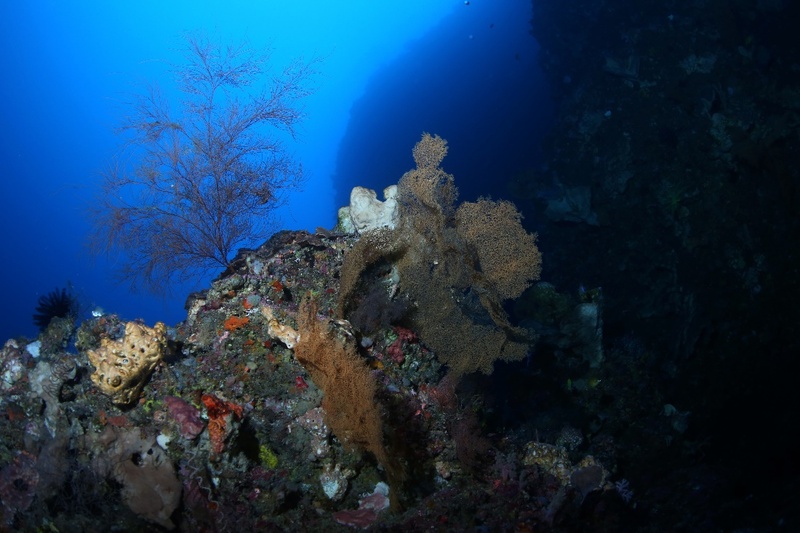 A deep Indonesian reef, densely populated by stony corals, gorgonians, soft corals, sponges, crinoids, coralline algae and damselfishes. 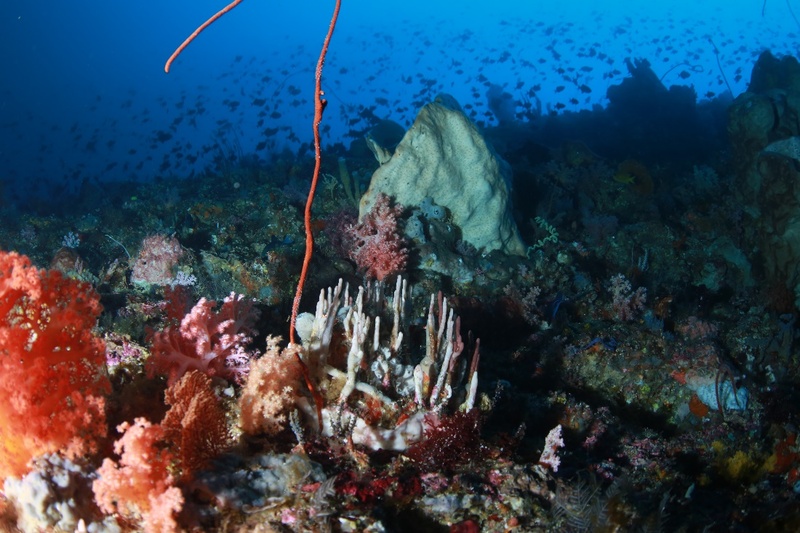 Such reefs may act as a “safe house” for vulnerable species. Photograph by Pim Bongaerts, Ph.D. The fluorescent nature of many corals is well-known by scientists and aquarists alike, where one wavelength (color) of light is absorbed by fluorescent proteins and emitted as a different, but always longer wavelength with lower energy and frequency. 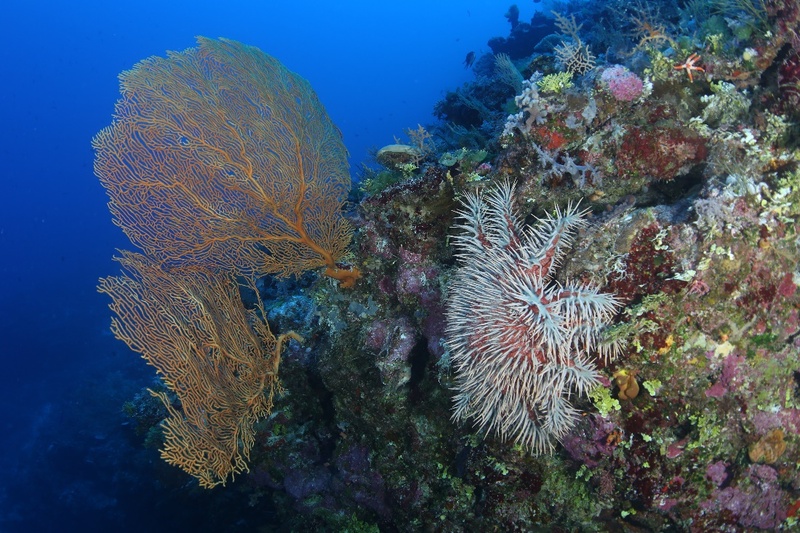 For example, when excited by blue light, many corals fluoresce this light as longer wavelength light, in the form of green, yellow, orange and red colors. 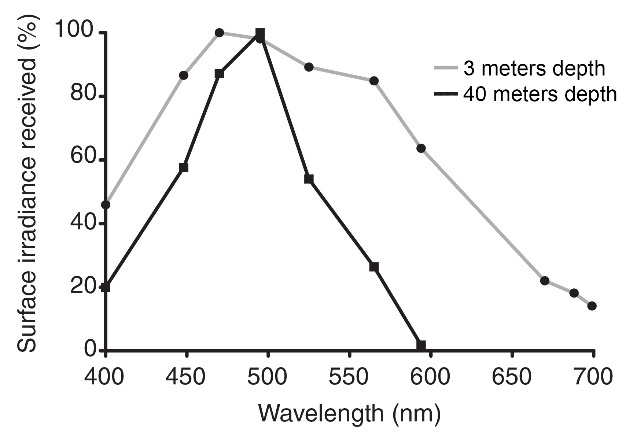 Although fluorescence is highly attractive, its function remains unclear. 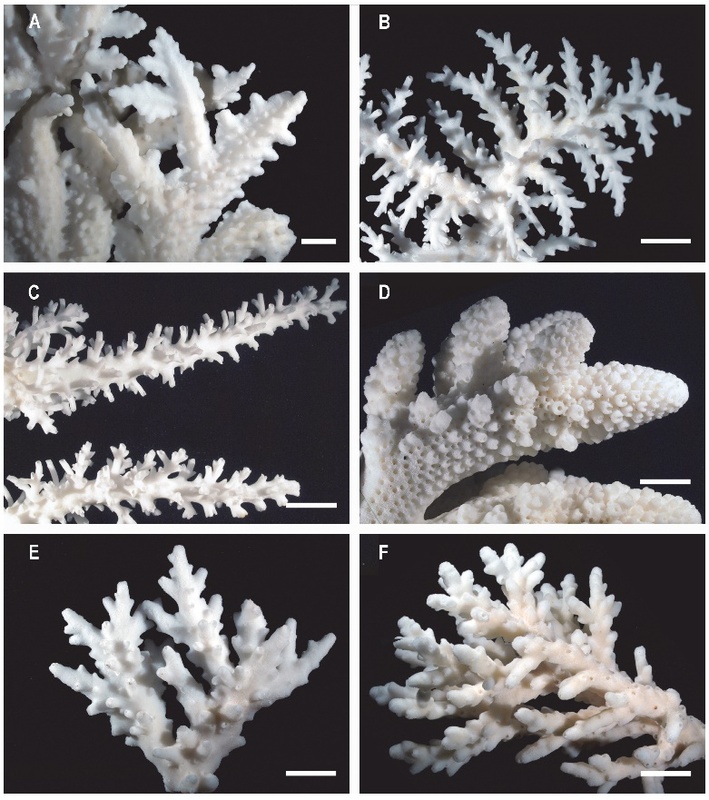 Several biological explanations for coral fluorescence have been proposed in the literature. 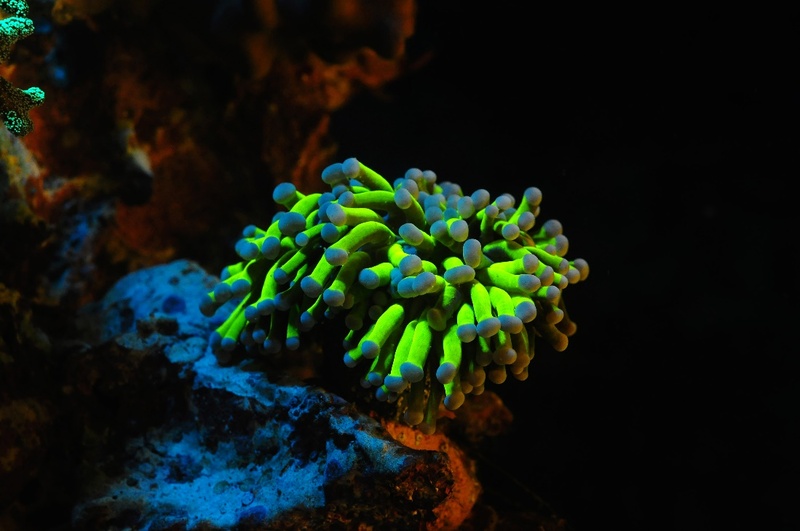 Fluorescence may protect corals from harmful light in shallow water by fluorescing energetic blue light as less harmful green light, and by scavenging oxygen radicals as by-products from photosynthesis (Bou-Abdallah et al. 2006; D’Angelo et al. 2008, 2012; Gittins et al. 2015; Salih et al. 2000). 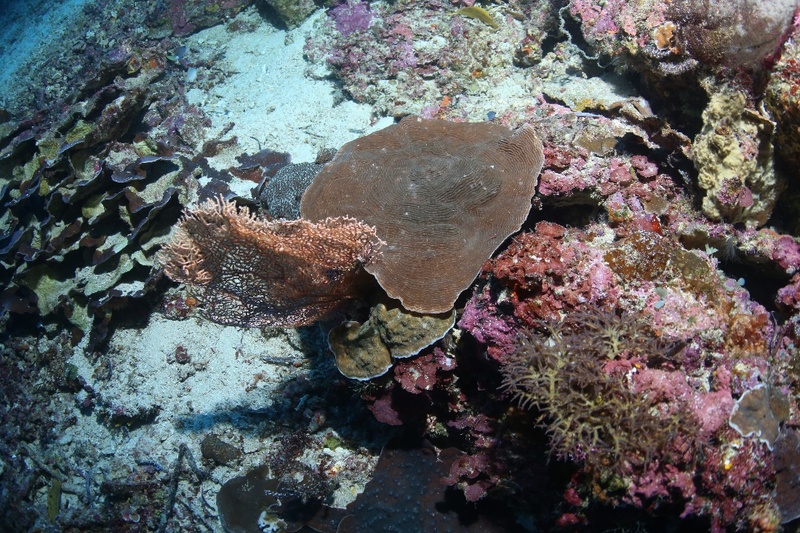 In addition, it may help corals survive in deeper water by improving light harvesting (Eyal et al. 2015). 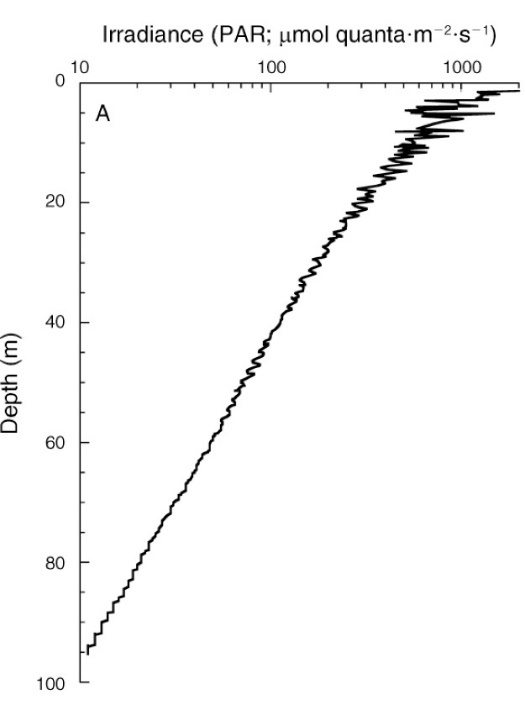 Interestingly, shallow reef corals show different fluorescence patterns when compared to those from the mesophotic zone. 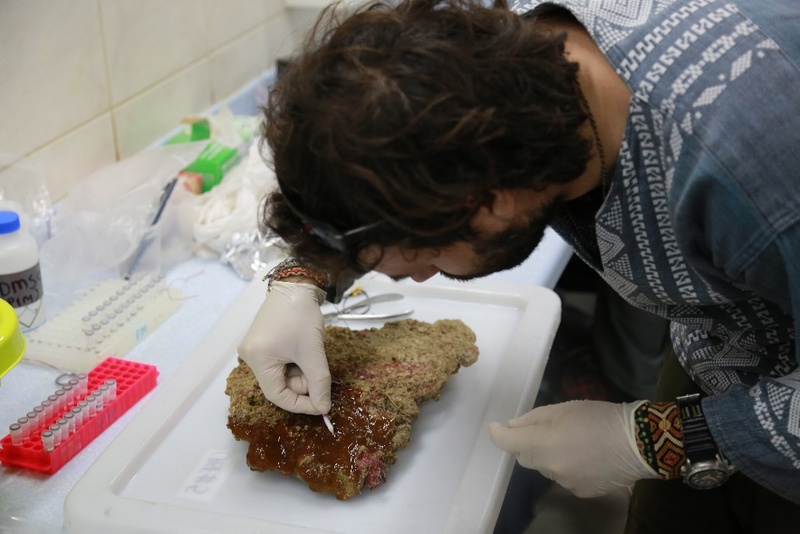 For example, orange-red fluorescence is almost absent in corals from shallow reefs in Eilat, and much more common in specimens found below 40 meters (Eyal et al. 2015). 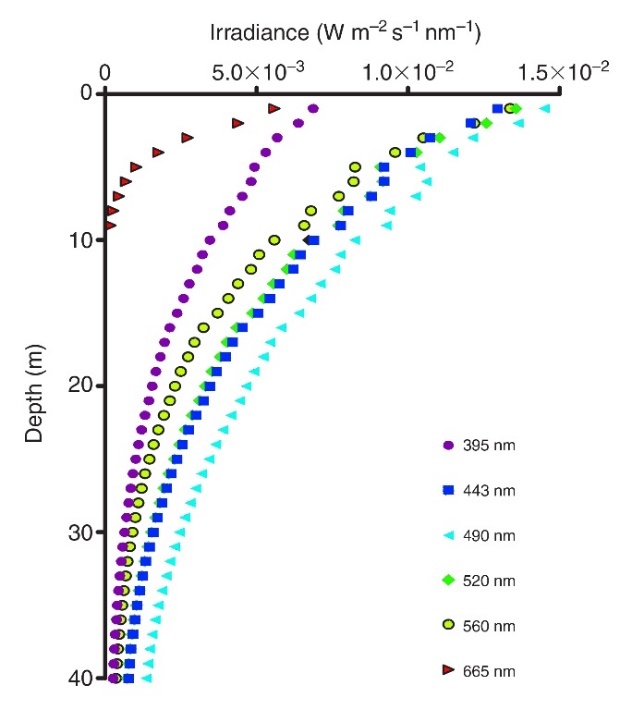 In addition, deep water corals that exhibit green fluorescence maintain their fluorescence intensity irrespective of light levels, in contrast to shallow water corals which show stronger fluorescence under higher light intensity (Leutenegger et al. 2007; Oswald et al. 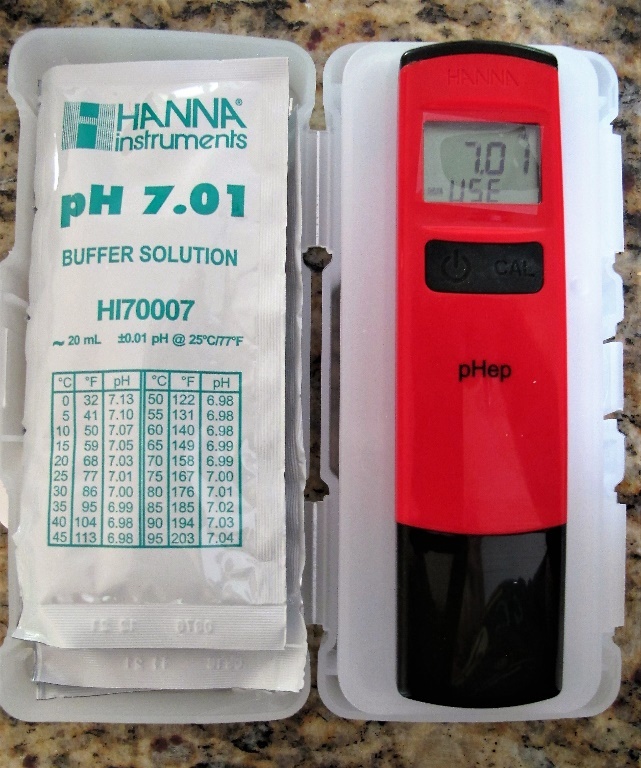 2007; Eyal et al. 2015). 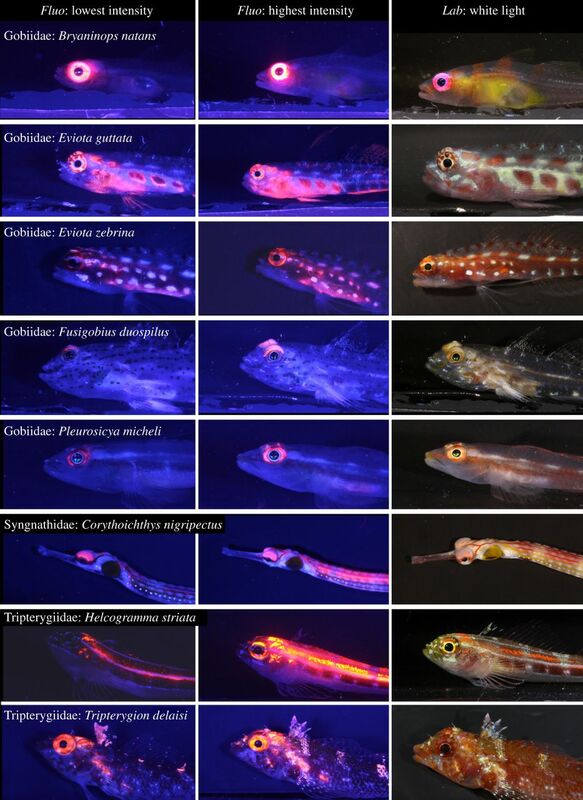 This suggests that fluorescence, in particular as orange-red light, has some as of yet unknown biological function in deeper waters. 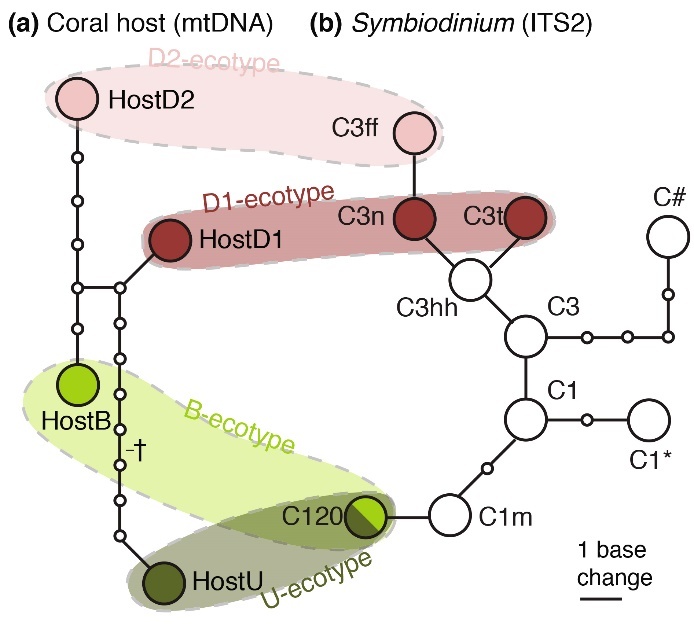 Possible roles for fluorescent proteins in deep and/or low light environments are enhancement of photosynthesis (Schlichter et al. 1986; Salih et al. 2000), and visual cues for symbiotic fish (Matz et al. 2006) and camouflage against certain fishes (Matz et al. 2006). Enhancement of photosynthesis by fluorescent proteins is substantiated by their localization in the coral’s endoderm (lower tissue layer), underneath zooxanthellae under low light conditions, allowing these proteins to reflect and fluoresce light back to the zooxanthellae (Salih et al. 2000). Conversely, under high light conditions, fluorescent proteins are located in the ectoderm (upper tissue layer), above the zooxanthellae, allowing these pigments to reduce the amount of light reaching the zooxanthellae (Salih et al. 2000). Cyan fluorescence, finally, is uncommon in deep water corals, which seems logical as its photoprotective function is not useful in a low light environment. 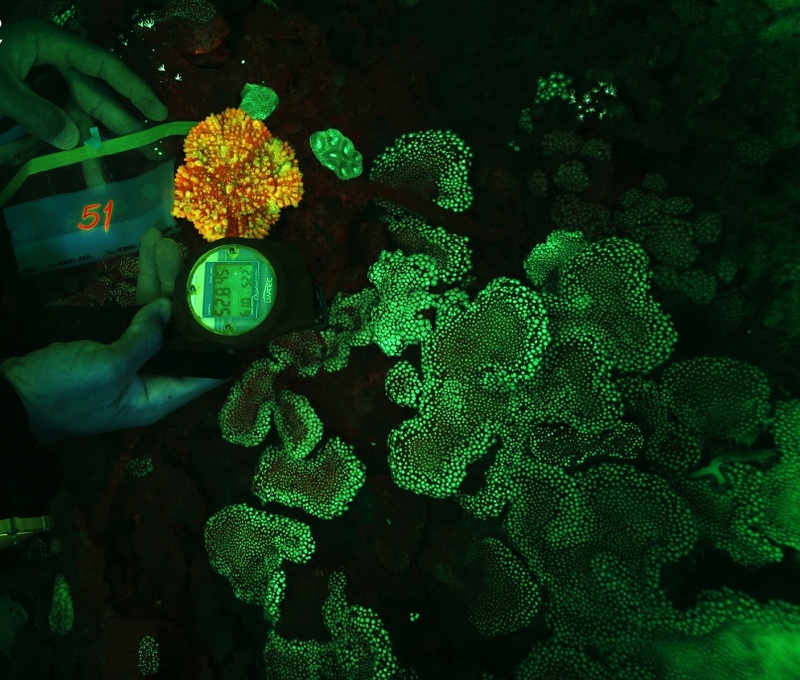 Shallow corals may use this pigment to reflect excess visible light and fluoresce UV light as blue light, preventing their tissues and symbiotic zooxanthellae from light damage (D’Angelo et al. 2008; Salih et al. 2000). 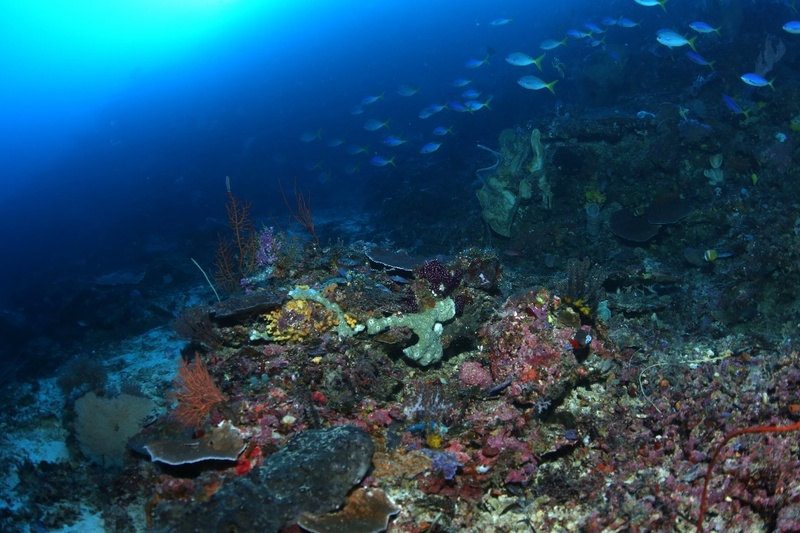 As mentioned above, mesophotic reefs have different species compositions compared to their shallow counterparts. Growing in the gloomy depths requires significant morphological and physiological adapations, and it seems not all species are able to do this. 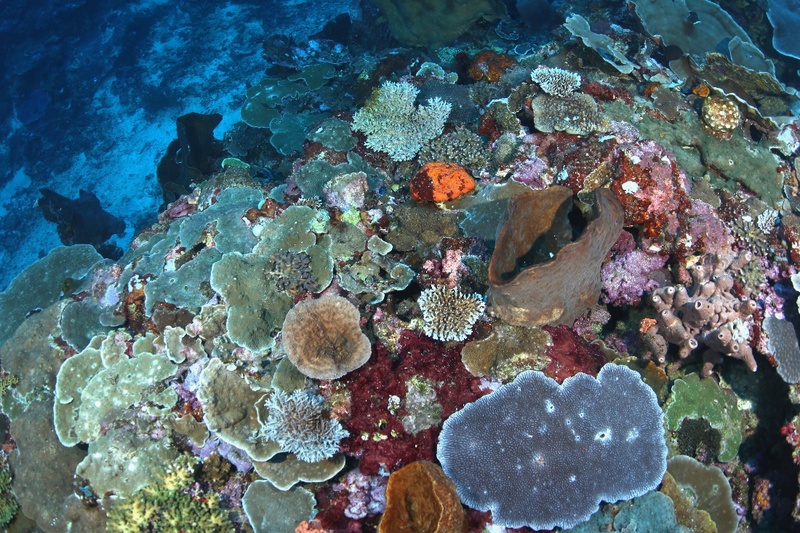 Interestingly, coral species which occur across a broad depth range (depth generalists) could eventually evolve into multiple species due to DNAmutations and subsequent natural selection. Below, I will explain how this works. The formation of new species is known as speciation, and it starts with random chemical changes known as mutations in DNA-which holds all hereditary information in living cells-that occur in each individual. Sometimes, such a mutation has a beneficial effect, as it will alter a gene-a DNA fragment encoding a protein with a specific function in an organism-in such a way that an individual becomes better adapted to its environment. For example, a genetic change resulting in a more efficient use of sunlight may allow a coral individual to survive in deeper water. 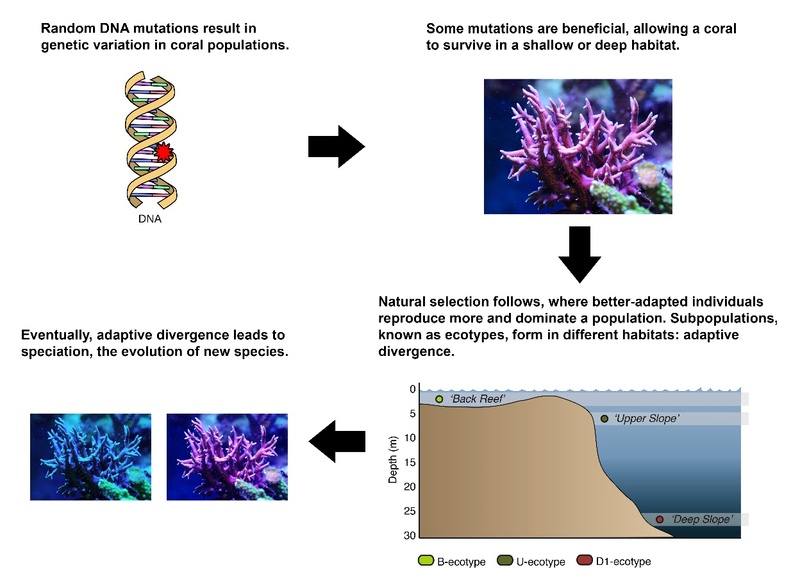 Longer survival, in turn, will allow the coral to produce more offspring (sexual reproduction) or clones by fragmentation (asexual reproduction), resulting in more corals with this favorable gene (genotype) and associated physical attributes (phenotype). This process, where better adapted individuals show higher survival and reproduction rates, also known as higher fitness, is called natural selection. The combination of random DNA mutations and subsequent non–random natural selection on those mutations results in evolution, which is a gradual change in the form and function of organisms. 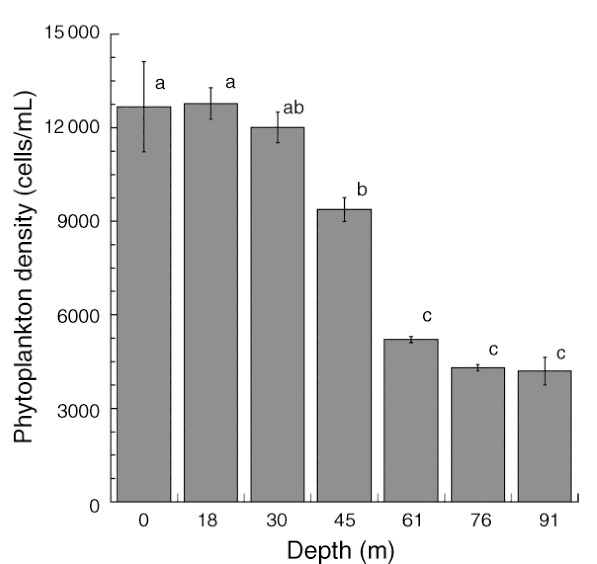 Morphological and physiological adaptation of a coral population to a specific environment, caused by natural selection which weeds out the weaker (less adapted) individuals, has remarkable effects. Most striking to aquarium hobbyists may be the maximum depth at which zooxanthellate corals are found. 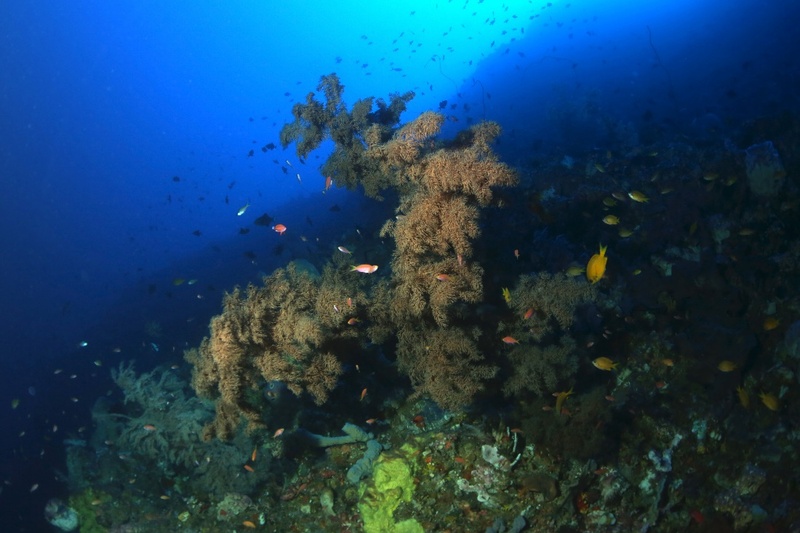 Acropora spp., regarded in hobbyist circles as “light-demanding”, are found to down to at least 73 m (243 ft) in depth. 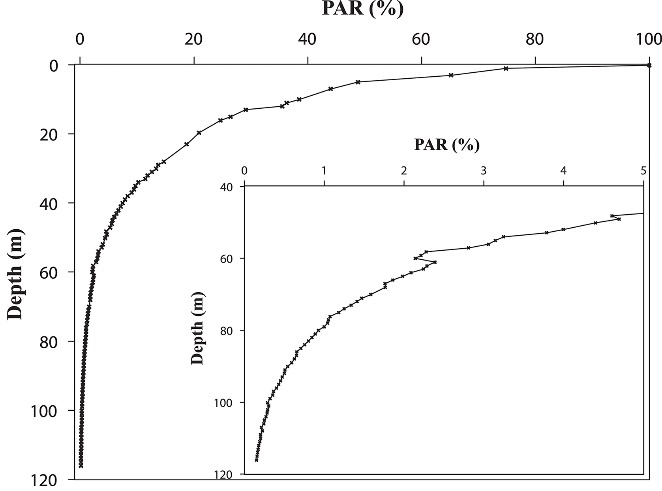 Here, maximum PAR levels are about 30 µmol photons m-2 s-1, or 1-2% of maximum solar irradiance (Lesser et al. 2010). This would constitute a low light level in an aquarium. Although their growth rates, morphology and coloration are all affected, it is interesting to observe such corals growing in deep waters. 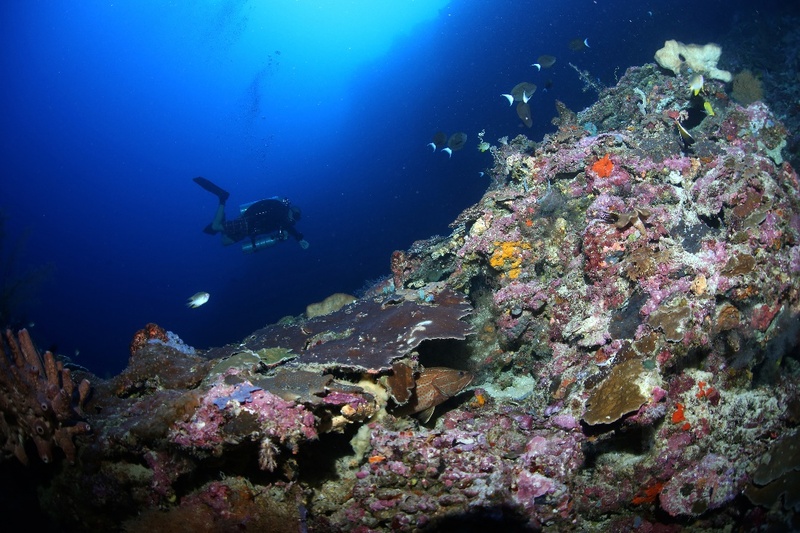 Research on mesophotic reefs is technically challenging, as it requires submarines, remotely operated vehicles (ROV’s) and special diving gear. 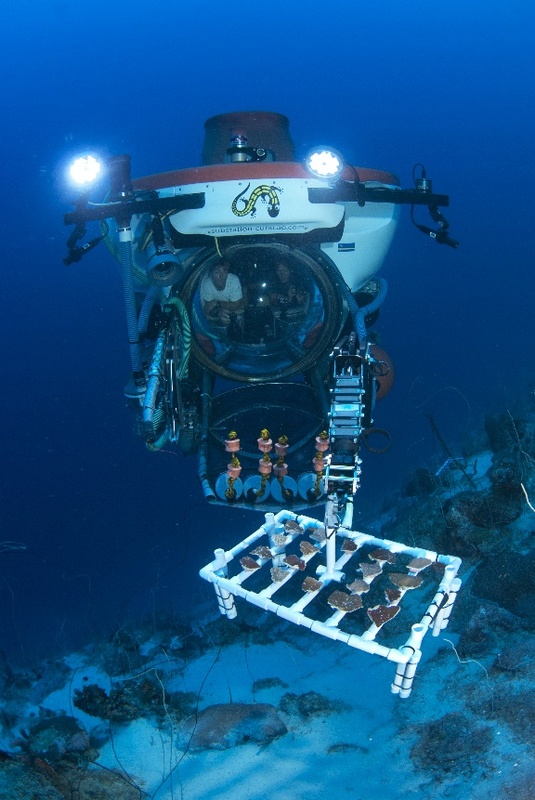 Here, Dr. Pim Bongaerts and his colleagues are transplanting deep water corals for a scientific experiment. 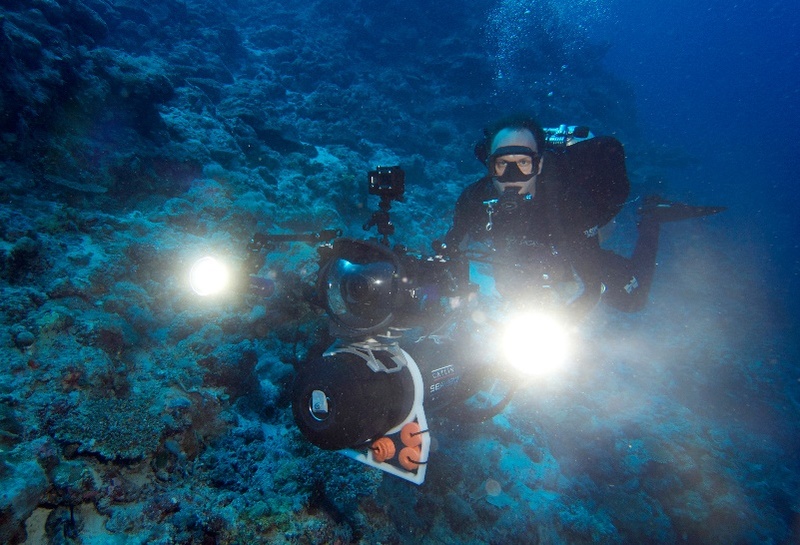 Photograph by Pim Bongaerts, Ph.D.
Just another day at the office: a marine biologist photographs a rich deep water reef community. 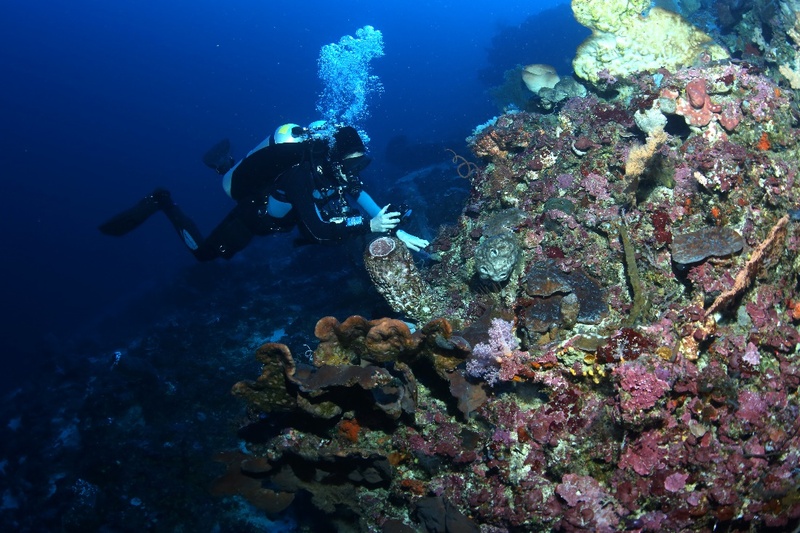 Note the barrel sponge just below the diver’s hands and the spiral-shaped black coral to his right. Photograph by Pim Bongaerts, Ph.D. 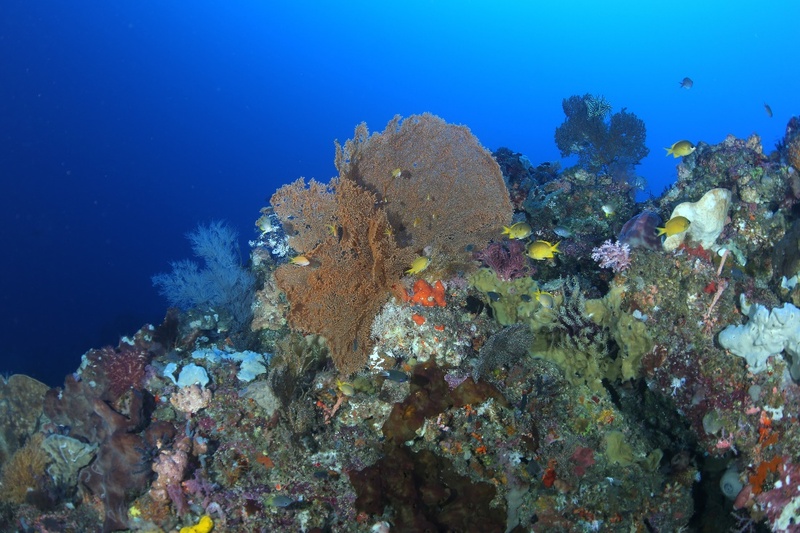 In addition to zooxanthellae, research has shown that corals are host to a diverse bacterial community. These bacteria live in mucus on the coral’s surface, within coral tissue and even within zooxanthellae (Ainsworth et al. 2015). 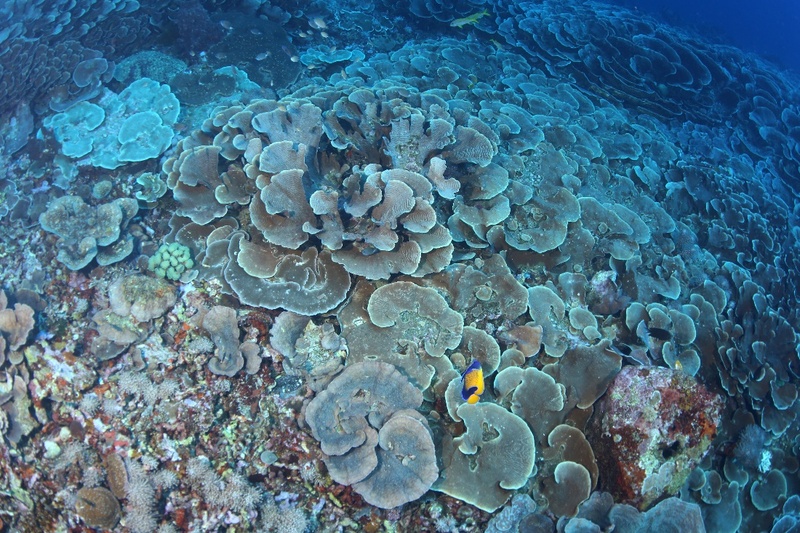 Specific coral species associate with certain bacteria, similar to zooxanthellae (Olson and Kellogg 2010). 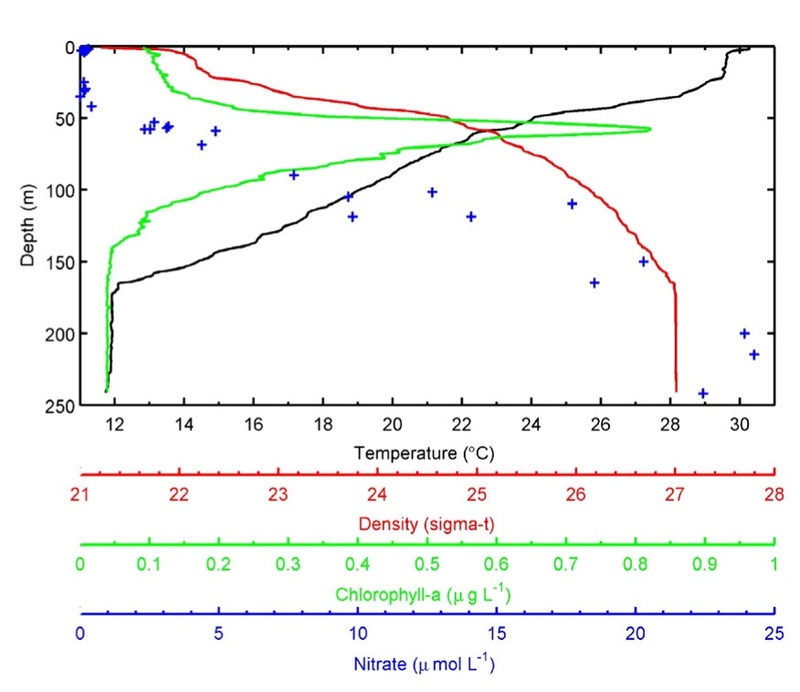 What may be surprising to aquarists is that certain cyanobacteria are found in corals and their zooxanthellae, which fix nitrogen by converting dissolved nitrogen gas (N2) into ammonia, which is then transferred to the zooxanthellae (Lesser et al. 2007). These, in turn, use the ammonia to produce amino acids and proteins, feeding themselves and their coral host. 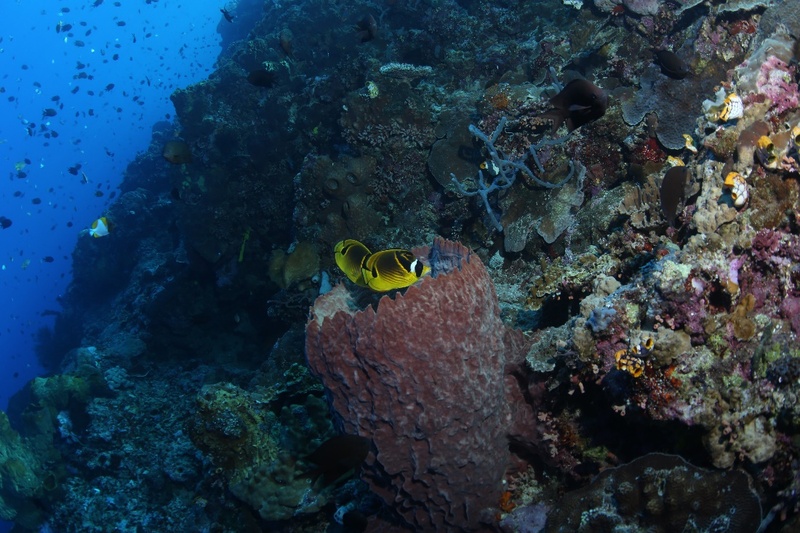 This intricate partnership between the coral animal and its symbiotic microorganisms allows this so-called holobiont to survive in a low nutrient environment. 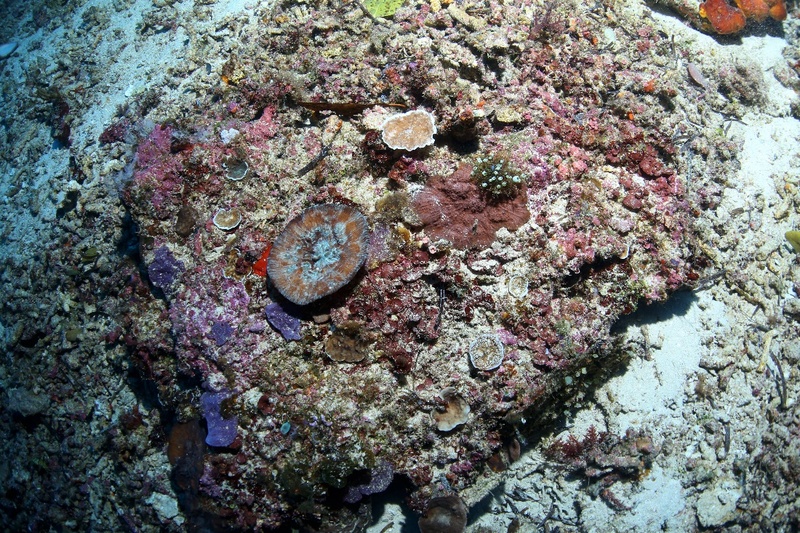 Although certain zooxanthellae may be found on deeper coral reefs only, this is not yet clear for bacteria (Olson and Kellogg 2010). 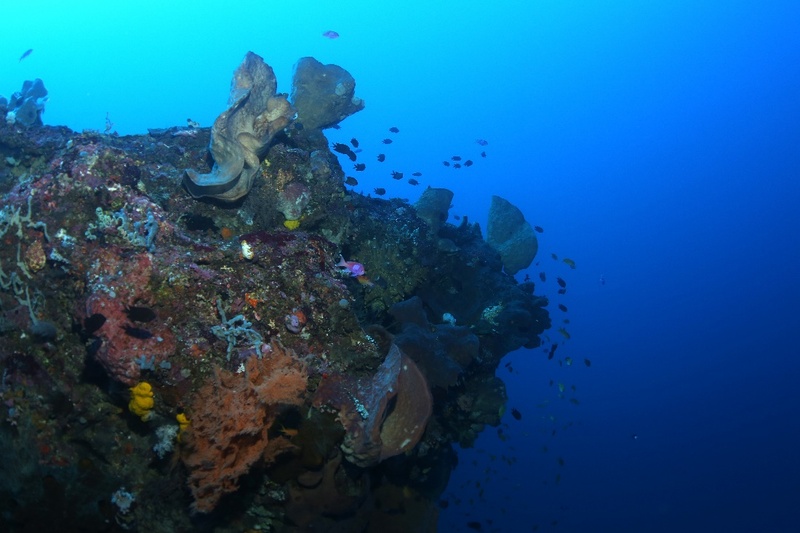 It is possible that specific species of bacteria may allow corals to persist in very low light environments, by supplying their host with specific compounds. 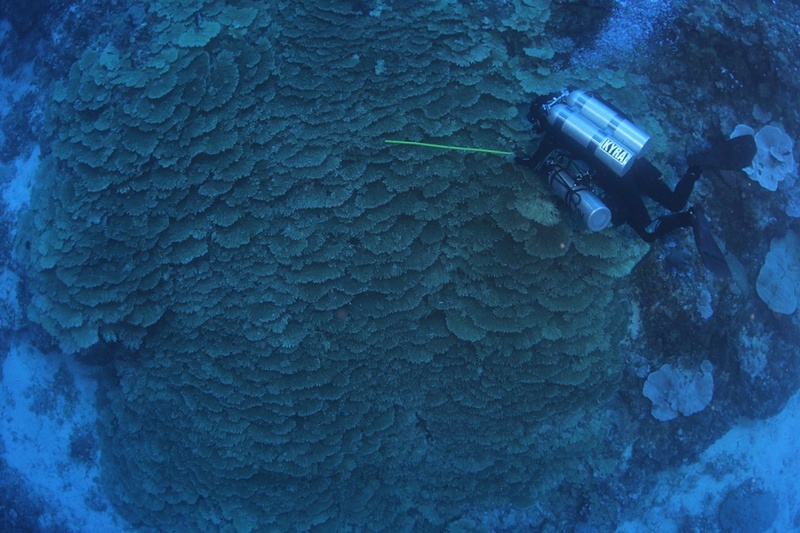 Analyzing mucus provides important clues about a coral’s life in the deep, such as its associations with specific bacteria. 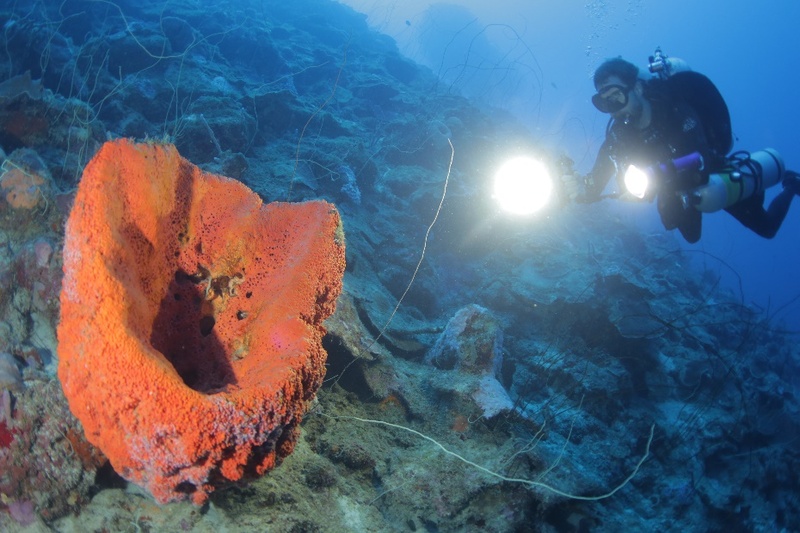 Here, Dr. Pedro Frade is sampling a stony coral collected from 90 meters (300 feet). Photograph by Pim Bongaerts, Ph.D.
To learn more about (mesophotic) coral reefs, please visit the XL Catlin Seaview Survey website, a unique project which aims to record the world’s reefs in 360 degree panoramic vision. 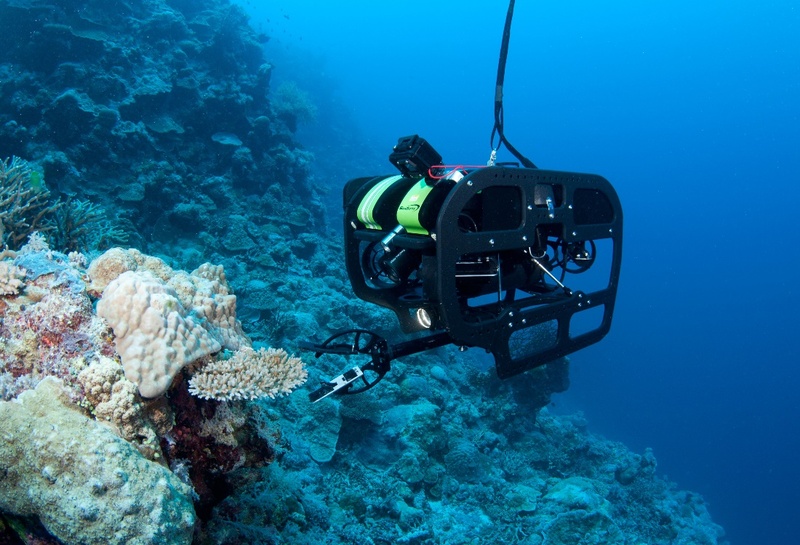 Using an innovative SVII Panoramic Camera with a propeller and three Canon 5D DSLR’s equipped with wide-angle lenses, 360 degree images of coral reefs are recorded. Their website has some spectacular images which you can download. 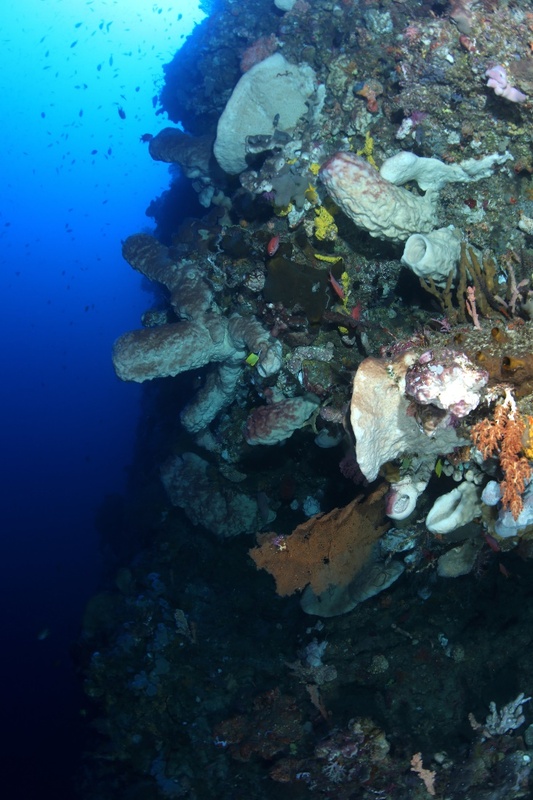 The related XL Catlin Global Reef Record also has many panoramic images and videos to enjoy. 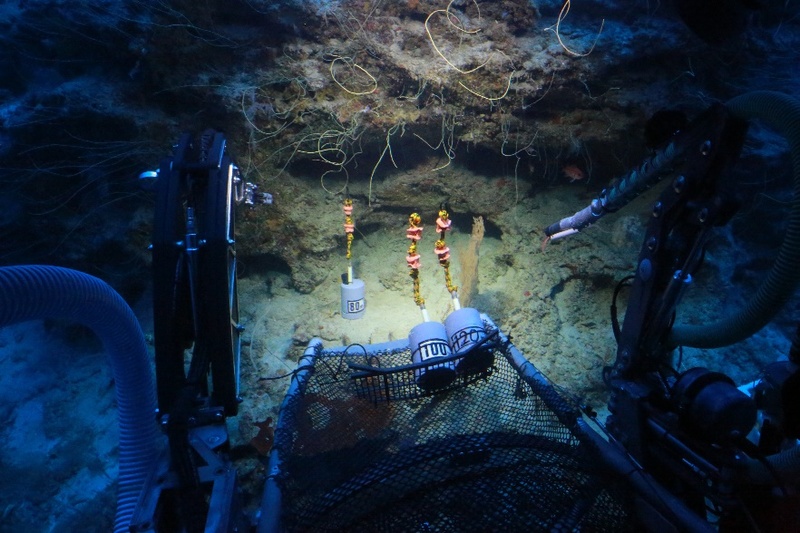 Step inside a realm known as the twilight zone-a narrow, dimly lit band of the world’s oceans more mysterious to scientists than the surface of the Moon. In this groundbreaking new aquarium exhibit, located within the California Academy of Sciences’ newly updated Coral Reefs of the World gallery, discover the beauty and importance of the little-known reefs that exist between 200 and 500 feet below the ocean’s surface-beyond the range of traditional SCUBA gear but above the depths typically explored by submersibles. Meet spectacularly colorful fish and rarely seen invertebrates, learn about the innovative technologies that are enabling Academy scientists to study this new frontier, and discover what you can do to help protect these amazing-and vitally important-ecosystems.